A fun Homebuilding and Remodeling Blog for anyone who’s thinking about building a new house or remodeling an existing one. You’ll find fun tips and advice to help you construct your brand new home from scratch or renovate an older home that needs a little TLC. 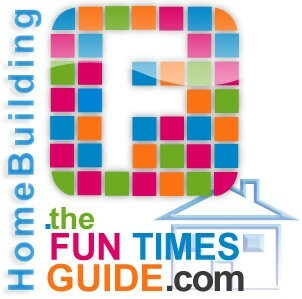 The Fun Times Guide to Home Building is filled with unique and interesting architectural styles & building ideas, in addition to personal reviews of building materials & techniques, plus hundreds of construction photos of new homes in progress and remodeled homes inside & out. For the do-it-yourself who’s looking to save a few bucks by tackling simple projects on your own, there are also plenty of how-to’s to help you add unique and personal touches to your home… while on a budget. We’ll help you stay on top of the latest home styles and trends, while providing you with helpful information about the home building industry from a consumers’ point of view. It’s all about having a little fun while exploring what’s new in the housing market these days! We encourage you utilize the information found here at The Fun Times Guide to Home Building when you start taking notes for your future dream home. What kind of flooring do you want? What about paint schemes, light fixtures, Energy Star and environmentally friendly materials and appliances? We’ll help you find the answers to those questions… and more! Basically, you’ll find checklists galore for what should and should not go into building (or remodeling) a quality home — including ideas that you’ll definitely want to try, as well as some that you want to make sure to avoid!